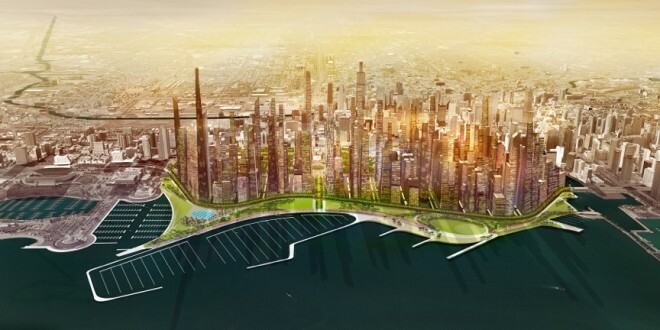 The Chicago Architecture Biennial is showcasing some innovative, potential makeovers for the Windy City. 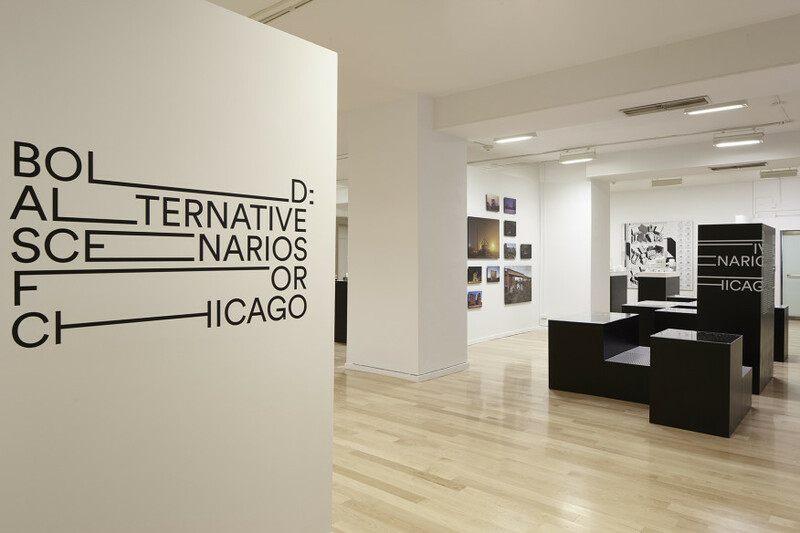 One of their exhibits, “BOLD: Alternative Scenarios for Chicago,” features 18 projects and ideas created for the city of Chicago by more than a dozen local offices. The BOLD exhibit, organized by Iker Gil (director of MAS studio and editor-in-chief of MAS Context) features many unique designs that might, for most people, seem a little far-fetched for the city of Chicago – but could these designs be just what the city needs? 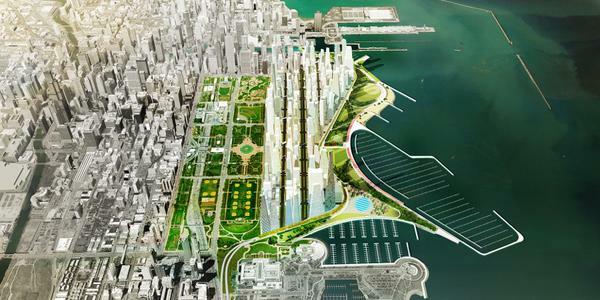 Port Urbanism’s “Big Shift” involves the development of new buildings along the lakefront – similar to the design of Central Park in NYC. 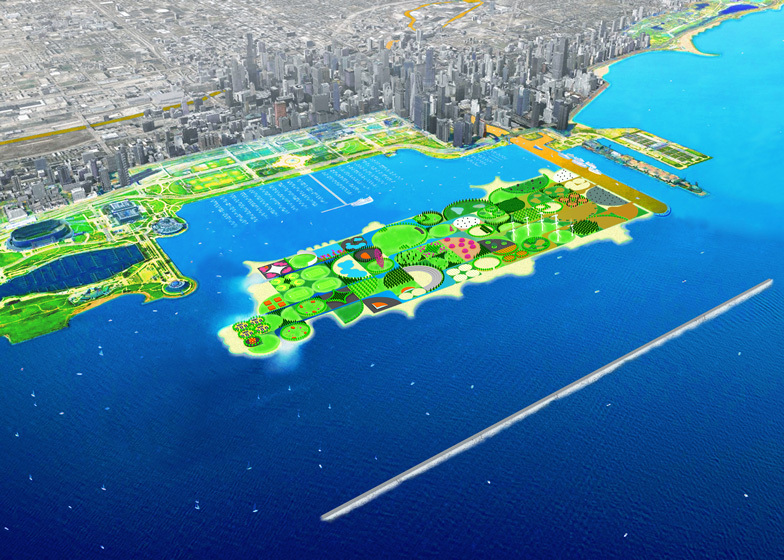 Another BOLD vision that Chicagoans might be a little more accepting of is UrbanLab’s Filter Island. UrbanLab has proposed building an island in Lake Michigan that will be able to filter pollutants from the contaminated river. Filter Island would use a series of large-scale bio-cells to clean the river water before releasing it back into Lake Michigan. UrbanLab’s Filter Island suggests the creation of an island to filter pollutants before releasing the water back into Lake Michigan. David Brown, associate professor and associate director at the University of Illinois at Chicago’s School of Architecture, believes that there could be some great uses for the over 15,000 city-owned vacant lots throughout Chicago. Brown calls his project The Available City and according to Wired, the project “…encompasses proposals from nine firms, including raised parks, multi-use education spaces, wellness centers, maker spaces, community kitchens, and micro-housing.” One interesting plan in particular is to create a Wellness Center in Humboldt Park. 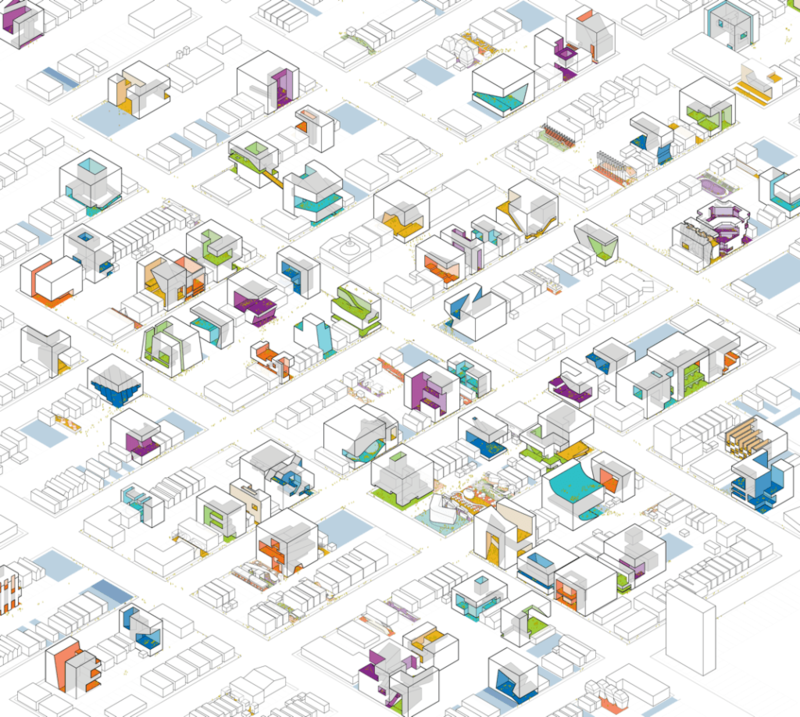 “The Available City” project would make use of the thousands of empty lots in Chicago. These proposed designs and many others can be seen in person at the Chicago Architecture Biennial. 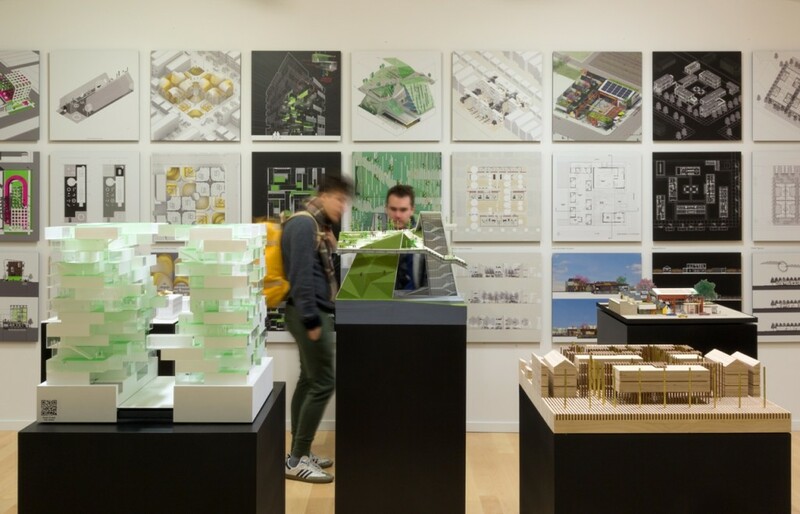 Already attracting over 31,000 people, the Chicago Architecture Biennial opened to the public on October 3, 2015 and will continue through January 3, 2016. To find out more about this free exhibit, you can visit their website here. BOLD: Alternation Scenarios For Chicago.